Go is a lean language. The 3rd party dependencies aren’t that big like in the node.js world. Still having a containerized development environment helps in developing Golang applications. Containerized environment gives you and the team capability to create repeatable, sharable, and deterministic development environment. This is a huge advantage when team members are working on multiple environments (node.js, python, and go), as it happens in any enterprise projects. When you work with docker containers, you also get the possibility of creating an environment as close to production as possible. That brings ease and confidence — for us, for our teams, and for our clients. In software development, ease and confidence is value. 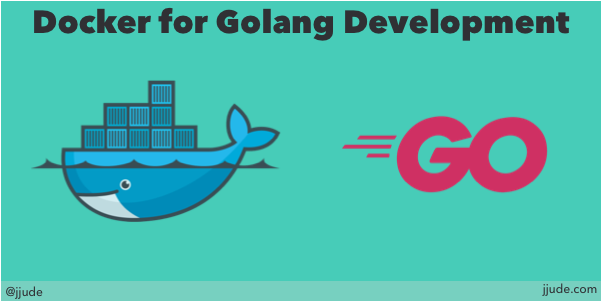 In this post, let us build a docker container for developing cli based golang applications. We can build docker containers for developing web applications based on golang based on this minimal container. What does these lines mean? We want to store the application code itself in the host computer (that is from where we are running the docker). We want the docker container to contain only the golang compiler and other development tools. We will install only the dependency management tool dep within the container. Add another line to the Dockerfile. This will install the dep tool. If you want you can install other golang tools like this. Docker uses a concept called Volume to share code between the container and the host. Let us add this. So we are going to indicate a working directory and share that working directory with the host. Once you have this docker file, you can build the docker image. Issue the command: docker build -t jjude/go . from the terminal. You can change jjude/go to your own name or just go. Note that you have to issue this command only from the directory that contains the Dockerfile. You can check by issuing docker images. You should see the newly built image. This has built the image. Now you have to create a container. You can create as many containers as you want from this image. You can view them both inside the docker container as well as from the host directory (~/Code/go). Now you can install any dependencies using dep and start to create golang applications.